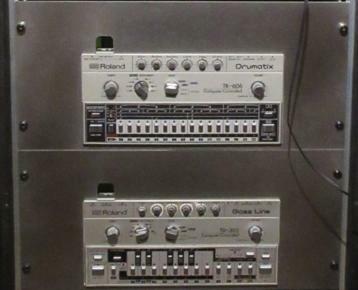 Roland TB-303 & Roland TR-606 Rackmount-Kit The Kit for the Roland TB-303 and the Roland TR-606 ist the same. -> Order No. : RACKKIT303606, price is 100CHF. (one kit for each machine) + shipment costs. 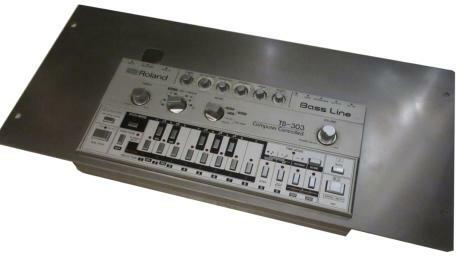 For the first sight you may think there is a lot of space used for the TB-303 and TR-606. But this is only in the first view. 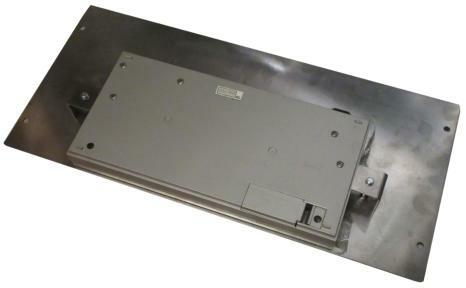 The Roland TB-303 & TR-606 Rackmount Kit uses 5HE or units, (1.75” inches, 44.45mm). The machine uses only 4U but the connections at the back need some space too and you hardly get 90° angled DIN-SYNC stuff. So in my point of view it’s impossible to mount a TB-303 or TR-606 in a Rack without using this or similar space. There is a Rackmount Kit out there from analogue solutions as far I know. You’ll find other case work here. But the rack kit, which I once have seen does not cover the connections. 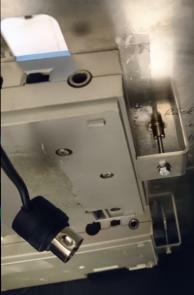 The machine is put in a frame and is holded from the back side with two screws and two brackets. There is no need to do any change to the original machines. They stay as they are: original. 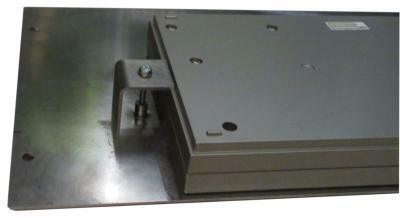 Front plate and brackets are made from stanless steel.